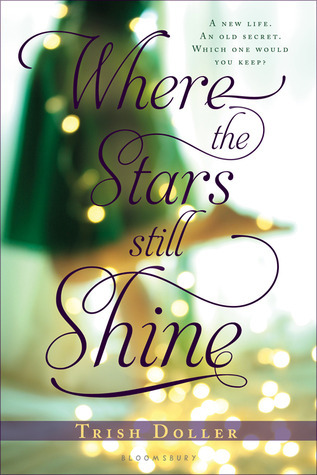 When I saw that Melina Marchetta wrote a blurb for Where the Stars Still Shine I had to read it as soon as possible. My expectations were very high for this book, and while it didn’t disappoint me, it still wasn’t what I was expecting. When I can’t connect with a main character, I know that I’m in for a challenging read. I could not connect with Calli the way I wanted to. To me she was a robot that was learning how to be human. I’m a very emotional person and when something is bothering me I will speak my mind and cry and scream. Calli barely stood up for herself and I wanted her to so badly! I did understand her to a point. This girl went through so many horrible things and in the process she lost her voice. Thankfully as the book progressed I found myself rooting for her and wanting her to be happy. I do have to say that Trish is an incredible storyteller. Her ability to transport me to Tarpon Spring amazed me. They way she described the town made it feel so real, well it is a real town, but I’ve never been there, now I feel like I have. The sponges were another nice touch to the story. I was definitely fascinated by them. This part of the book was incredibly well done. Not every author can take the reader to a different time or place. Trish Doller did. Another thing that I loved about Where the Stars Still Shine was the glimpse Trisha gave us into the Greek culture. It was a lot of fun reading about the different foods, the Greek terminologies. I absolutely adored this part of the book! Even the way the family acted was fascinating. I think the grandma was my favorite. She reminded me a little bit of my grandma. I also loved the unconditional love these people gave Calli without even knowing her. They were supportive even when she didn’t disserve it. The romance between Calli and Alex was a little too insta-love for me, but it was still sweet to read. The scene when she sees him for the first time made the butterflies in my stomach come back to life. At the end of the day Where the Stars Still Shine was a great read. Even though I had some problems with it I still think this book is definitely worth the read. Too bad you didn't connect with Calli that's also a very bad sign of a book for me so it,s great that you were still able to enjoy it that much regardless. It sounds like it was very well written and the setting seemed to have been really vivid. I love books like that! I have seen mixed reviews on this one but it does sound like something I would like! Calli was a perplexing character for me as well. I didn't hate her but I didn't love her either. It's great that you could still enjoy the book despite a strong connection to the main character. That's always hard for me. I'm glad you mention the Greek culture because I don't remember seeing that in reviews yet and it sounds like an aspect I would like. I've been wanting to read this despite some mixed reviews. I really love Trish's descriptions and she's a wonderful writer (from what I've experienced so far.